Gold, silver and platinum have dominated jewelry design as the choice metals for consumers. But there are more metals beyond the big three, and tungsten is emerging as a lustrous favorite for wedding bands, bracelets, earrings and more! Sitting on the Periodic Table of the Elements as #74 and bearing the chemical symbol “W,” tungsten is very dense and has an extremely high melting point. In its natural, raw form, tungsten is light-hued white metal, like platinum and palladium. The element is naturally occurring alongside the mineral Wolframite, aptly named as tungsten was also originally known as Wolfram (thus the ‘W’ as the chemical symbol). Tungsten World reports that watchmakers were the first to use tungsten carbide (a tungsten mix) in the jewelry industry. 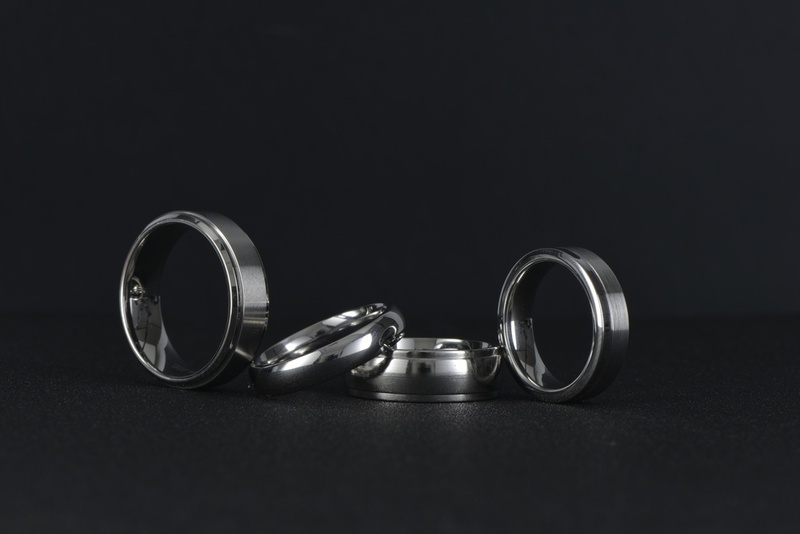 The strength and amazing scratch resistance of tungsten have also made the metal a very popular choice for modern rings, and tungsten wedding bands are ideal for even the toughest lifestyles. Tungsten’s light hue also makes it a less expensive option for buyers who don’t want to pay the hefty price tag for platinum or palladium. So who wears tungsten? David Beckham is noted to don tungsten rings. And while there currently isn’t a tungsten tiara, you just never know what will come out of the royal vaults in the future! 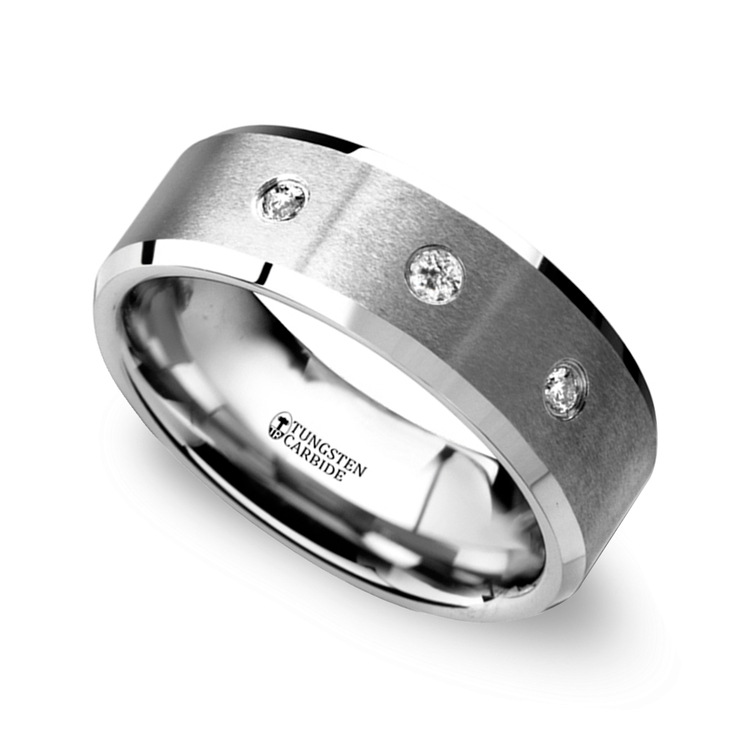 For couples who are interested is styling a tungsten wedding band, there are a few tungsten tips you need to know! You can’t resize this metal! Once you order a tungsten ring, there is no going back. Tungsten cannot be resized. So know the ring size before you hit that final order button. While tungsten cannot be scratched, it isn’t completely without fault. This metal can chip and break, so if tungsten is dropped too hard, you might have a broken ring. Be warned, you also cannot patch tungsten or even re-mold it as you would gold or even platinum. Gemstones and diamonds look amazing in Tungsten. While tungsten can be a bit fastidious, this metal accentuates pops of color with amazing luster. So drop in colorful gemstones or even add black diamonds for a little dark magic. To add visual interest, incorporate inlays. 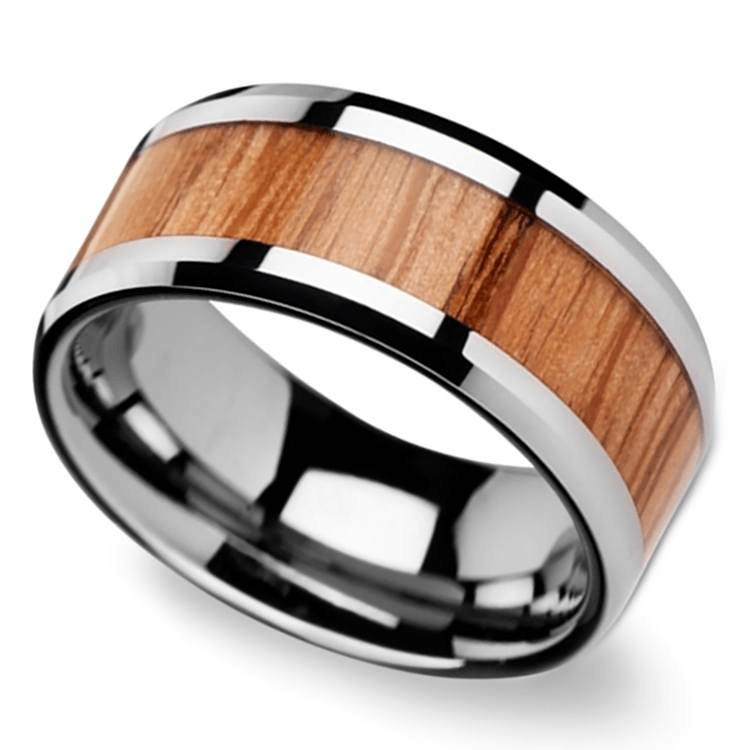 Tungsten rings look fantastic as just bare polished metal, but the silvery sheen of tungsten also creates the perfect backdrop and blank canvas for colorful inlays. Choose warm woods or even fiery opal inlays. Dinosaur bone or meteorite inlays incorporate an otherworldly style. Tungsten pairs perfectly with other metals. 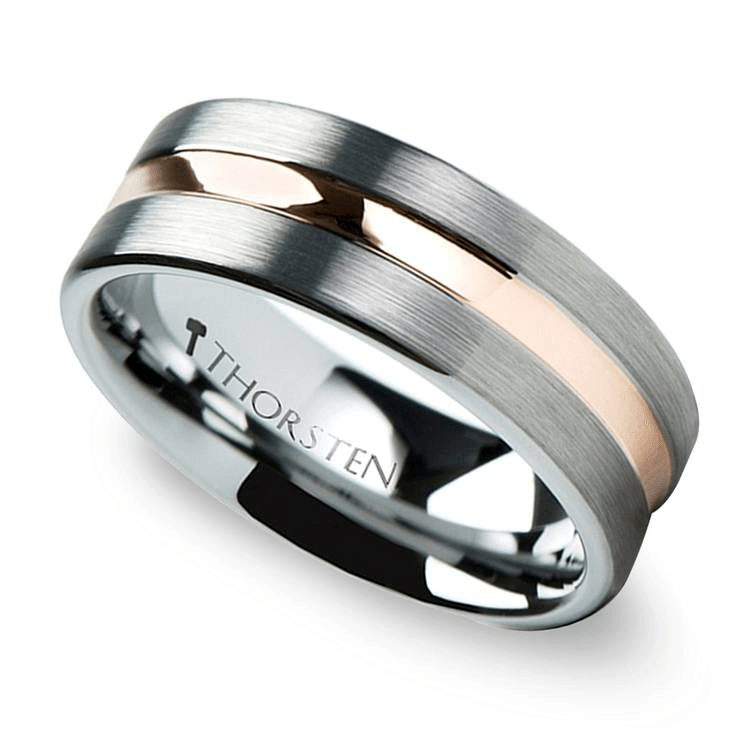 Add warm yellow gold or even blushing rose gold edging to contrast with Tungsten’s dark or silver hue. Create texture by sandblasting the gold edges. While Tungsten rings and jewelry can be styled any way you want, the affordability of this metal allows buyers to have flexibility with the details and stones they wish to incorporate in the design. While Tungsten is most often used for wedding bands, you can choose to create Tungsten earrings, bracelets or even necklaces. The budget widens when you choose Tungsten, and this opens up an amazing creative freedom. No matter what you’re designing with Tungsten, play with details and designs to create the perfect look for your life and style.